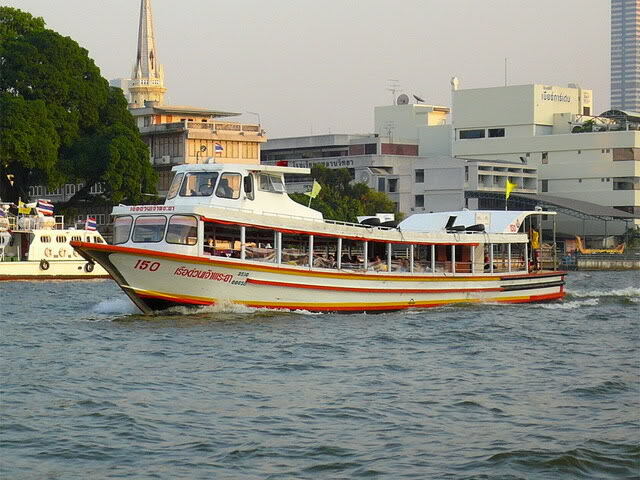 A cruise along the legendary Chao Phraya River, Bangkok, Thailand, and some canals on the Thon Buri side is the most pleasant way to explore the city once dubbed “Venice of the East”. 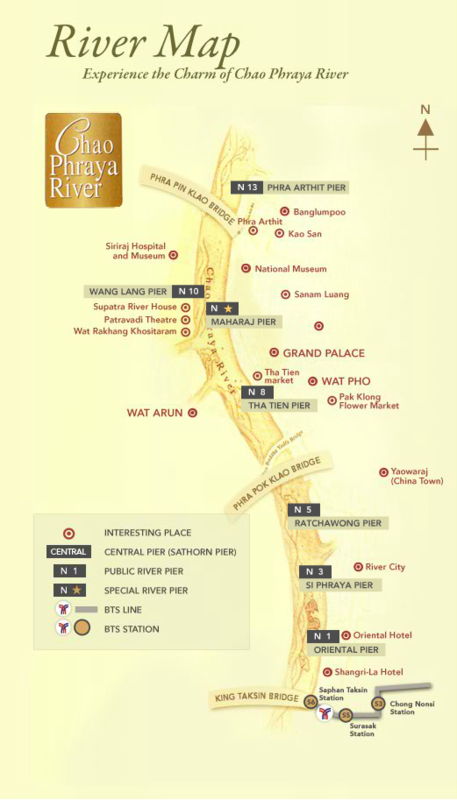 The majestic charm of the Chao Phraya adds perspective to your exploration of the city’s premier attractions. 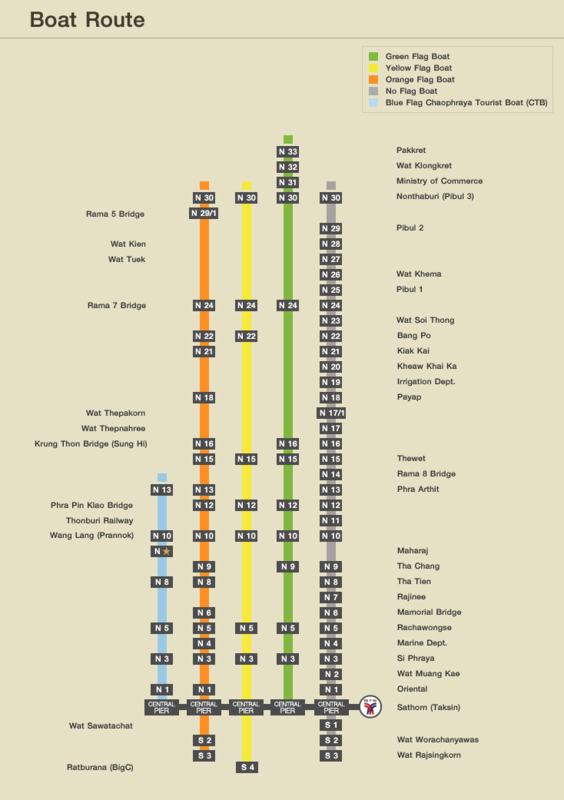 Rivers and canals referred to maenam and khlong in Thai have always been vital forms of communication. 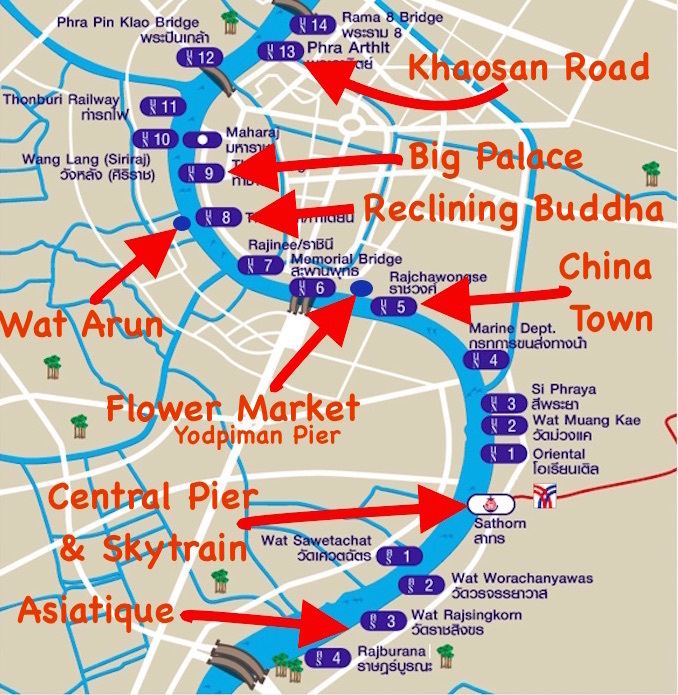 When the capital of Thailand was moved to Bangkok in 1782 (the beginning of the Rattanakosin period), the capital was laced with canals, so Bangkok was sometimes called the “VENICE OF THE EAST” by European visitors. Nowadays, even though Bangkok has become a modern city, the Chao Phraya River as well as the canals are still charming for whoever wishes to seek the peaceful atmosphere amidst bustling Bangkok. Klongs of Thonburi, the network of canals on the opposite side of the river. Long Tail Boats are like tuk-tuks on water. These yellow narrow boats can be rented privately. Cost is negotiable with the driver directly, but it is highly recommended to book a tour. Sathorn Central Pier is directly in front of BTS Skytrain Station Saphan Taksin and provides a link from the riverside to the rest of the city. 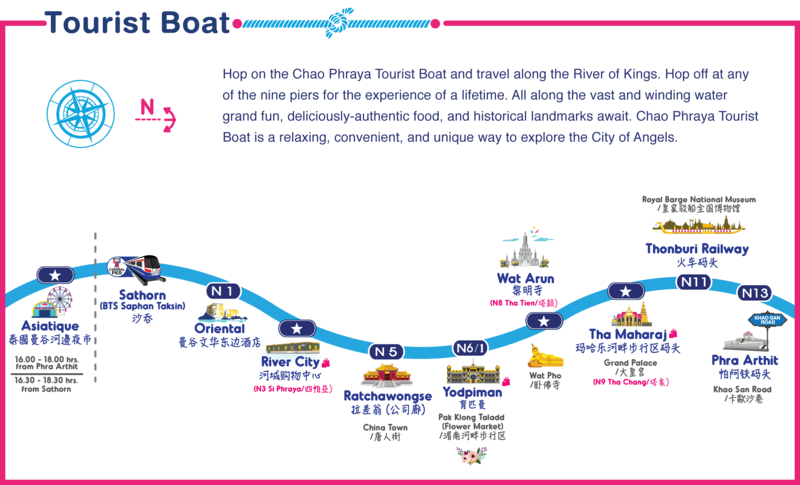 The Chao Phray Express boat tourist service consists of 42 boat piers with the most northerly pier being Pakkret Pier and the most southerly pier being Ratburana Pier. You can buy a ticket on board and some boat piers will have a small ticket stand near to the pier, however it is not necessary to buy your ticket beforehand (also be careful about being sold a tourist boat service if you want to travel on the public service!) The boats are around 20 meters in length and consist of one lower seating deck, when seats are full passengers can stand in the central isle and towards the back of the boat. before getting on the boat you will need to establish your orientation and and decide whether your destination stop is up or down river, you should easily be able to tell by the flow of the water which is usually quite strong on this stretch of the river. All you need to do is wait for the boat to arrive and hop on once the pilot has secured the rear of the boat against the pier (check the colour of flag on top of the boat matches your required route – see below for route map) you will need to be quick here as the boat will only be for around 30 seconds before it is on its way again. It is useful to have a map with the piers market so you can gauge when your destination pier is approaching, also at busy times make sure you approach the back of the boat well before you reach your destination pier so you are ready to get off. If you have not purchased your ticket in advance a ticket collector will circulate on the boat, just shout out your destination pier and the ticket collector will collect the fare and issue the ticket. 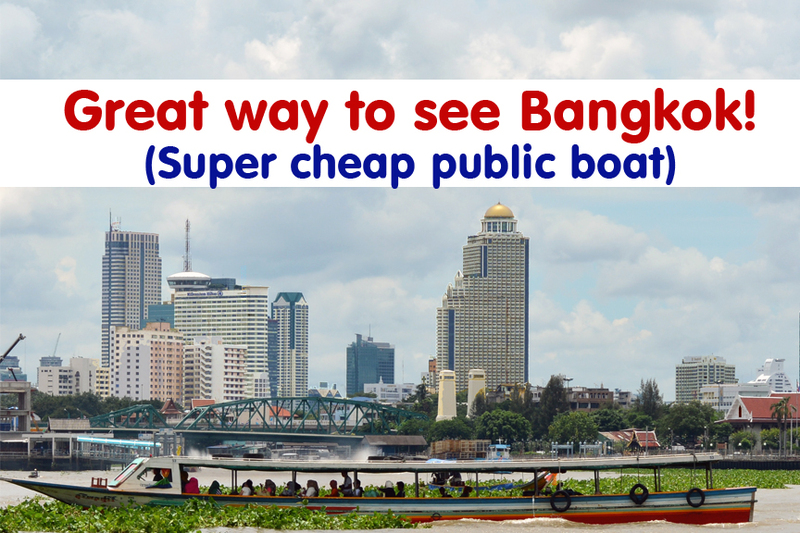 Fares are cheap, especially on the public service and range from 10-32 baht depending on the boat and which stop u require.